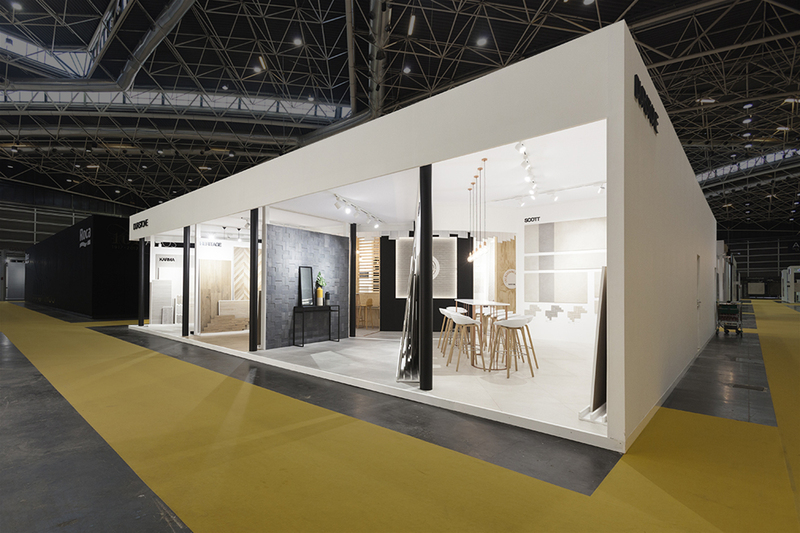 This Cevisama 2017 stand is a follow-up to the previous designs. 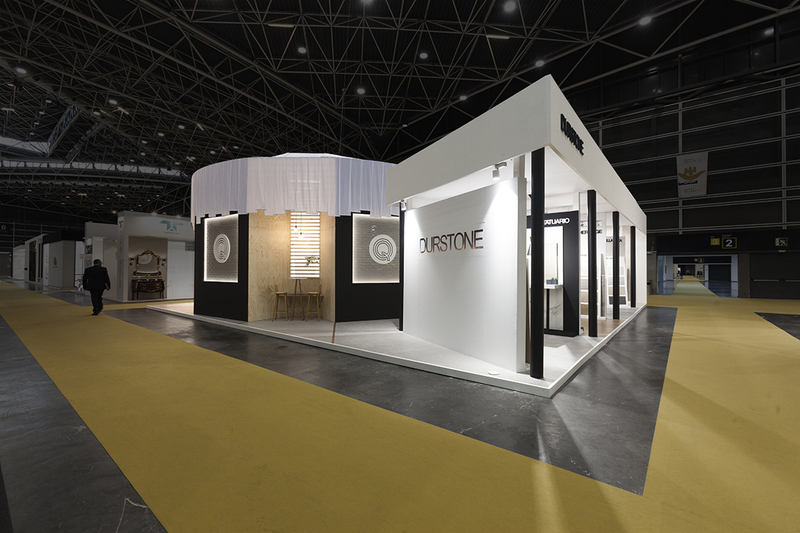 We created a space to present two brands under the same roof: Durstone and Q. Durstone is the main brand of the company, that includes their floor tiles collections and is characterized by minimal architecture. 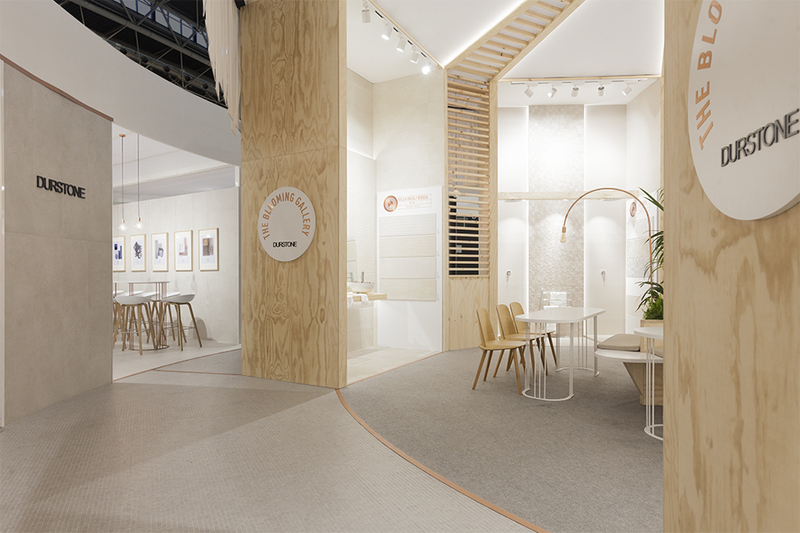 On the other hand, their wall tiles are included in Q: a “young soul” brand that reappears at this fair with a renewed concept of “The Blooming Gallery”. The brief was to create a minimalist and open-space concept for Durstone. It’s characterized by the black on white contrast and clean, sleek lines. The highlight of the stand are the two scenes placed at the entrance. A series of elevated platforms formed the different exhibition areas, whose system is mainly a series of panels that emerge from the platforms and are suspended from the ceiling. Definitely, the design of the “Casa Chic” scene at the entrance is the most eye-catching: French Provence heart and Mediterranean soul. On the other hand, the young soul brand Q manifests itself into the stand as “The Blooming Galley”. 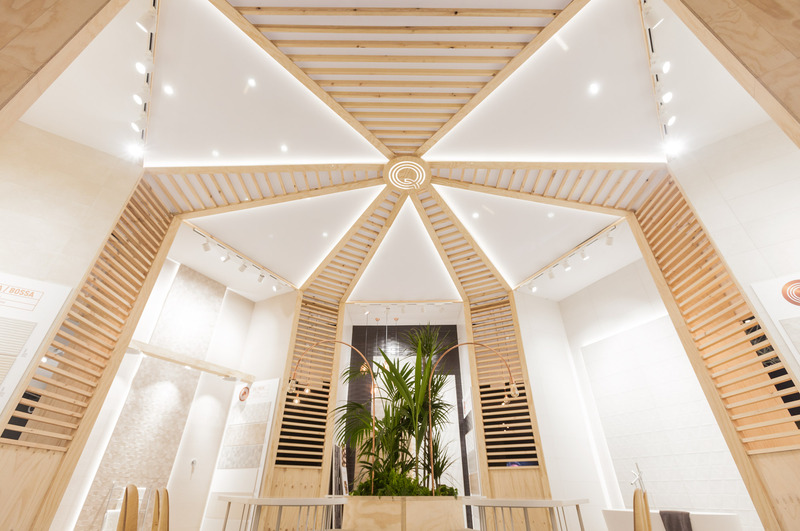 Japanese inspiration is found in that space due to the simple shapes and materials such as pine wood, fabric and cooper. 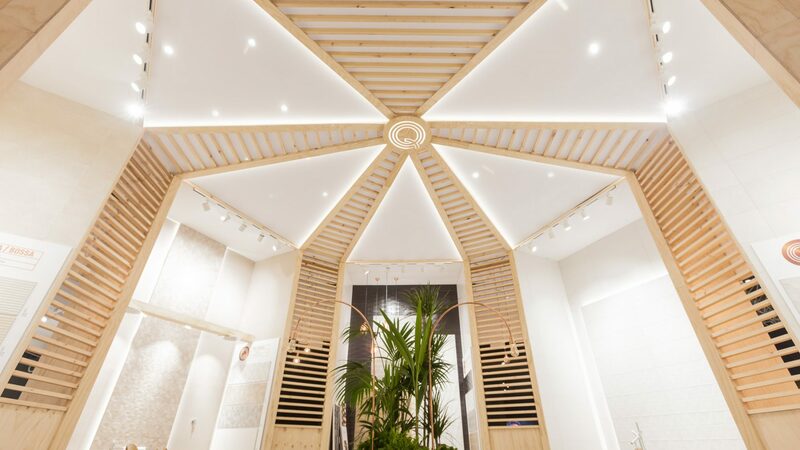 Its composition is radial, starting from the “Q” logo placed on the top of the roof, following through the stripped latticework and ending on a central meeting space. 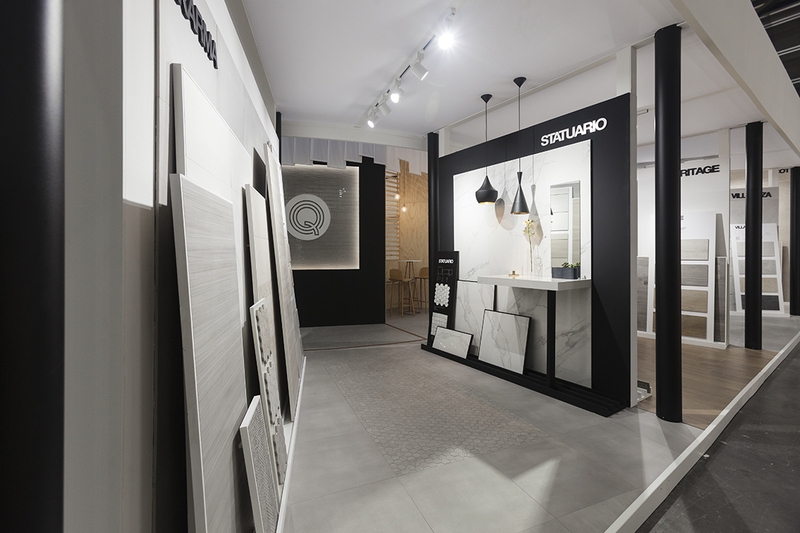 The exhibition system provides a perfect appreciation of their new wall tile collections.